Today is Teacher Appreciation Day! This week, our team here at ParentSquare want to take this time to thank you all the hard-working teachers and champions who are shaping our next generation. Your work is truly appreciated, even if parents and students don’t always show it. Take some time today to look back and savor your best teaching moments and enjoy the smile that fills up your heart. Our hope with ParentSquare is to turn more parents into your friends and fans by bringing them closer to the work you do in your classroom, providing you the opportunities to invite and connect with them in so many different ways. Thank you, teachers! We admire you! Share the love and help us honor those who teach our young ones during Teacher Appreciation Week. Here’s a great list of deals and freebies you can share with all the wonderful teachers you know! Karen L. Mapp, Ed.D., a senior lecturer on education at the Harvard Graduate School of Education provides a glimpse at how approaches to family and community engagement have evolved. Is your district implementing today’s best practices? Now, to further enhance the parentexperience and centralize communication, ParentSquare is excited to announce our newest feature release for the 18-19 school year, The Parent Dashboard. 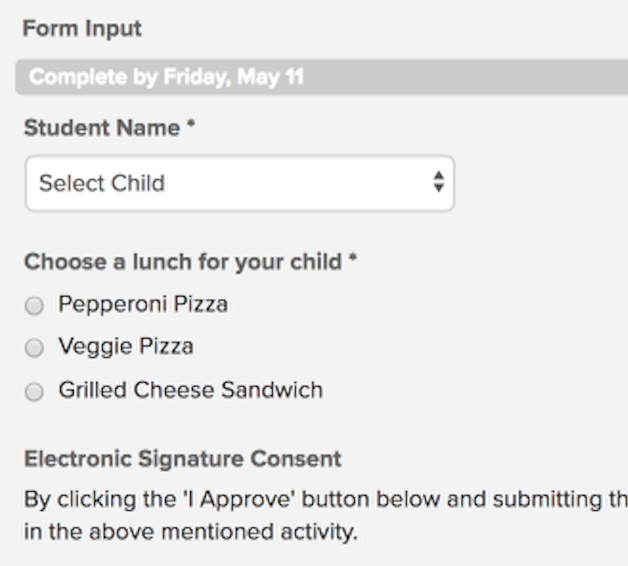 Fuller, Fresher, Better: We are delighted to share that ParentSquare will be fully redesigning and enhancing ParentSquare's Online Forms and Permission Slips for the 18-19 school year. Join Linn Sillers, ParentSquare co-founder, for a 20-minute webinar to learn how ParentSquare can be your virtual assistant, helping you streamline your entire parent interaction with one product. Can't attend? Watch a previous recording here.